The Sydney Brick Show is Coming! Exciting news for all Sydney based LEGO fans – The Sydney Brick Show will be back for 2019. It’s in it’s 8th consecutive year! Coming to the Penrith Panthers Exhibition Marquee on Saturday 6th and Sunday 7th April, there will be tons to see and do. With loads of original MOCs on display, as well as vintage LEGO displays, and huge LEGO and DUPLO play areas, there’s plenty to get stuck into. The show is open from 9am to 5pm on both the 6th and 7th April. Tickets are available now from Ticketek. Tickets can also be purchased on the day of the event from the Penrith Panthers Ticketek counter, located in the club’s main foyer. There will also be retailers covering all things LEGO, a cafe inside the show marquee, and plenty of food, you’ll have a blast spending the whole day exploring! It should be a great event. It’s a shame that I’m on the other side of the country and won’t be able to experience it! The full press release is below, with all the exciting details. If you’re going, please get in touch with me on the BricktasticBlog Facebook page. I’d love to get a roving reporter for the show! Sydney’s premier LEGO® fan event is returning in April for it’s 8th consecutive year, this year at Penrith Panthers Exhibition Marquee. The Sydney Brick Show is a community event created by volunteer LEGO® fans for LEGO® fans of all ages, show casing unique LEGO® creations from over 100 Australian and New Zealand AFOLs (Adult Fans of LEGO). • See original creations and displays of traditional LEGO® themes that will impress and inspire kids of all ages, Including LEGO® City, Star Wars, Trains, Superheroes, Pirates, Castle, Technic, Friends and many more. • Plus unique pop-culture, nostalgia, sci-fi and ‘geekery’ builds, and vintage LEGO® displays from your childhood. • Interact with the AFOLs (Adult Fans of LEGO®), the creators of the MOCs (My Own Creations) on display. Ask them questions about their hobby, about their collections and the unusual building techniques they use. • Enjoy our huge LEGO® and DUPLO® play areas, get creative with our brick graffiti wall, or race our LEGO® RC cars. • A café is located inside the show marquee, plus lots of family-friendly local eateries within the Panthers complex. • Exclusive retailers selling their wares, covering the very best of LEGO®; including current and newly-released sets, collectible minifigures, hard-to-find items, parts packs, jewellery, clothing, engraved bricks and vintage sets. • FREE onsite parking, right outside the marquee, and flat access throughout the venue. Everything on one level! Consider Penrith to far to travel for a LEGO® show? Make it a day trip! Penrith is the gateway to the spectacular Blue Mountains, offering beautiful autumnal scenery during the month of April, and bonus unseasonally warm weather this year! Other Penrith activities are only a stones-throw away, including Cables water park, iFLY indoor skydiving, Penrith Whitewater, Aqua Golf, Penrith Museum of Fire and family-friendly parks along the Nepean River. Any coverage of this not-for-profit event in the lead up to, during or after is gratefully appreciated. A number of personalities are available for interview, along with visual content and distinctive story leads. The event provides a fun day out for 10,000 visitors annually, all while raising awareness of, and funds for, NADO. Further details TBC. Additional imagery and complimentary media passes available on request. 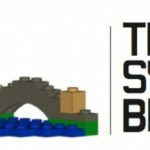 SydBricks Inc is the volunteer, not-for-profit organising group of The Sydney Brick Show. LEGO® and the LEGO® logo are trademarks of The LEGO® Group. © 2019 The LEGO® Group. The LEGO® Group does not organise this event. 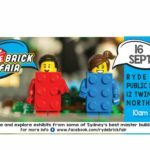 Sydney Brick Show on This weekend!